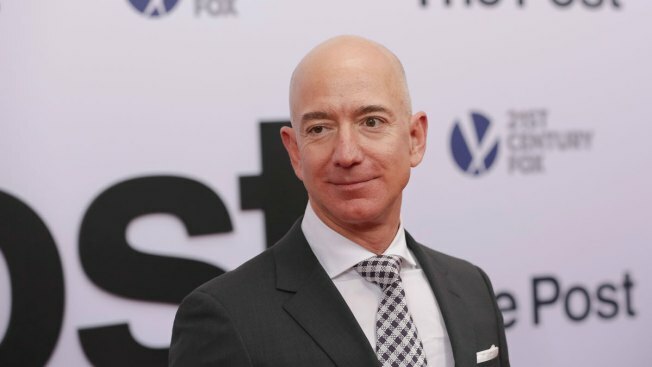 Jeff Bezos' wealth reportedly hit $105.1 billion this week, making him the richest man alive among those whose wealth is publicly traceable, CNBC reported. But Bezos hasn't always been a billionaire. He was born the son of a 16-year-old mom and deadbeat dad, according to CNBC, which charted his path to success in a new profile. A straight-A student in high school who secured early admission to Princeton, Bezos thought at one point that he would be a theoretical physicist. 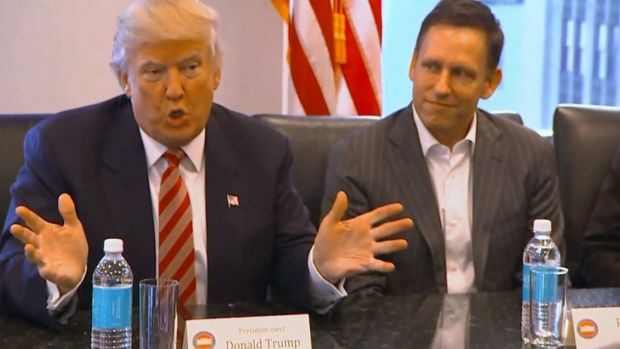 Jeff Bezos of Amazon, Eric Schmidt and Larry Page of Google, Tim Cook of Apple, and Elon Musk of Tesla were among the Silicon Valley giants meeting with President-elect Donald Trump and his potential cabinet members at Trump Tower on Wednesday, Dec. 14, 2016. His idea to start Amazon came years later while working in finance. Click through for more on Bezos' biography.